Breckenridge, Colorado is usually seen as something of a winter destination. But as you’ll see from this article, there is so much more happening in the summer than you might have guessed! In Breckenridge, Colorado you will find many outdoor activities going on, breathtaking sights of natural beauty, and nature in all its finest. There are so many beautiful sights to see on outdoor hiking trails, and you’ll never picnic anywhere quite as peaceful as the mountains of Colorado. There’s also plenty of sports to be getting on with, and two mountain bike festivals over the summertime bring plenty of excitement to this mountain town. This thriving tourist destination brings together some of the finest outdoor delights with some true cultural gems. Kick back in a spa, be inspired by an arts festival, and have fun with the family at live music events. This town really does have it all. Fancy travelling to Colorado this summer? 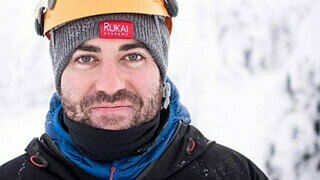 Well, you’re in luck as it’s easy to travel to Breckenridge from the UK. The best international airport to fly into is Denver International airport, which is only under a couple of hours away from Breckenridge by car. You can fly directly from London Heathrow to Denver using British Airways. Once you’ve arrived in Denver you can grab an airport transfer to Breckenridge or alternatively you can rent your own car for the duration of your stay. Car rental is the preferred option so you can take your time exploring the mountain roads and the stunning wildlife scenery along the way. Don’t want to rent a car, no problem. Bonus travel tips: Don’t forget, you will need to apply for an ESTA before travelling to the United States of America. UK citizens must also have an electronic passport to be eligible for visa-free travel to the US. Mountain biking, to water sports, fishing and summer festivals! You really can do it all over a summer vacation (as the Americans call their holidays) in the beautiful town of Breckenridge. Famous spa range PEAK10 supplies all the local spas with their wonderful skin care range specially designed for alpine climates, and a trip to one of these adorable spas is sure to get you relaxing right into holiday mode. Hike one of many glorious trails leading out and around Breckenridge. Breathe in deep and get a few lungfuls of that fresh mountain air, and wear in those hiking boots around a classic Colorado landscape. Breckenridge has some of the most exciting mountain bike trails going, and before the big festivals come to town is the perfect time of year to try out downhill biking for yourself. Get yourself in the fresh waters around Breckenridge! 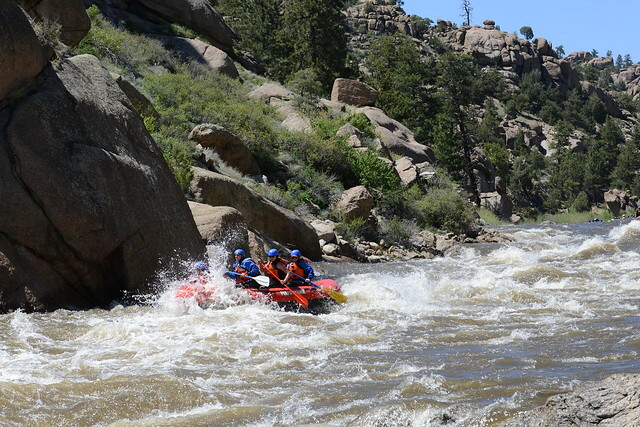 Whitewater rafting is a thrilling way to experience the powerful river of Colorado. The fresh water streams within the Colorado mountains are invigorating places to fish, and you can hire gear right in Breckenridge with tips for all the best spots. There are two huge mountain biking festivals in the Breckenridge calendar, Colorado Classic and Break Epic! Surely a good time for the whole family, as long as they’re big and old enough to downhill bike! Inspired by themes of environment and mountain culture, take some time to support the arts in Breckenridge during this 10 day festival. Thank you for reading this article about holidaying in Breckenridge! If you do make it to that beautiful mountain town make sure to enjoy yourself and the beautiful scenery as much as possible.